Guaranty Trust Bank customers that couldn't do much on the internet banking platform due to the lack of Hardware token can now make transactions without stress with the introduction of Token via USSD. 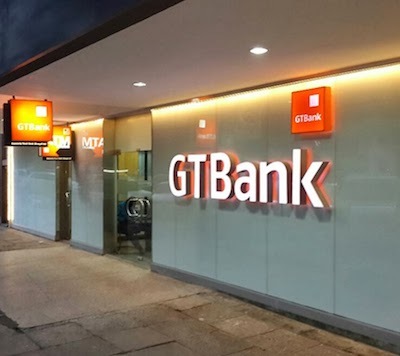 If you do not have the hardware token, you can now get token for completing transactions by simply dialing a code from the mobile line that is associated with your account with GTBank. NB: Each time you generate a code, 20 Naira will be deducted from your account and each generated code is only valid for 60 seconds. This is one thing i dislike about GTBank, i opened an acct. with Fidelity and the Mastercard was already profiled for online banking transactions, token was sent to me each time i want to complete a transaction on quickteller. Why is GTBank charging for ordinary token despite the fact that they would still charge us for receiving alerts at the end of the month. These days, GTBank sends me OTP whenever i try to make online transactions on quickteller and they don't charge me for it. Is that not the token thats being discussed here? I often swipe my credit card while shopping but I never knew how the payments are done securely. One day, I happened to navigate through Routingnumberusa.com that described all about Wells Fargo Routing Numbers and its significance in making e-payments. I can say that the entire article was worth reading.